Two fully-funded PhD studentships form part of a three-year research project funded by the Leverhulme Trust entitled Ancient Egyptian Demonology Project: Second Millennium BC. Demons abound in the media today-from tales of possession to the labelling of political policies as demonic, to the channelling of spirits for healing. Some of the most prevalent rituals in the ancient and modern world are those designed to target demons and those that call upon their superhuman power for benefit. But thus far, there has been no comprehensive systematic study of benevolent and malevolent demonic entities in Ancient Egypt. This project, Demonology 2K, applies Second Millennium AD technology to create a classification and ontology of those supernatural entities we will call demons, and the means used to harness their powers in Ancient Egypt during the Second Millennium BC. The approach combines archaeological, iconographic, and philological analysis of specific material, representational, and textual evidence. The research is data-driven, and includes the development of an interactive collaborative database and website. This project illuminates the darker and more private side of Ancient Egyptian religion that impacted daily lives, driving individuals to perform rituals and to access divine beings, with or without priestly assistance. The PhD studentships are available from 2 January 2013.
ability to work with both texts and artefacts familiarity with and desire to study Middle to New Kingdom religion reading knowledge of German and French Digital expertise will be integral to one of the studentships detailed below. PhD 1 should have a particular interest in working with artefacts and have a solid archaeological background both in terms of theory and post-excavation analysis. The successful student/candidate will focus on the material evidence, in particular types identified as primary targets for the project: apotropaia, inscribed headrests, and figurines. The student should have demonstrated aptitude for working with excavation reports (recent and dated) as well as museum and collections searching; be familiar with materials and technology; have a background in the archaeology of religion; and a dedicated attention to detail. 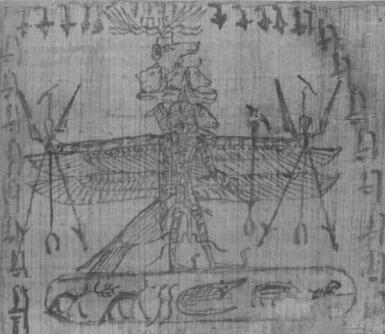 PhD 2 must be fluent in reading Middle Egyptian and have a background in reading religious compositions (ideally Coffin Texts and magical papyri). The successful student/candidate will be responsible for a relational examination of hostile and demonic entities encountered in the texts. The investigation must be contextual, and take into account associated imagery, findspots, the location of imagery and text in relation to each other and on each individual coffin, time period, and status, gender and identity of the owner. Because most of the Coffin Texts have different versions, the candidate must be skilled in reading the texts to spot differences and similarities. The student must also have a thorough rounding in Egyptian religion in general in order to be able to achieve a nuanced understanding of the texts, as well as being able to undertake literal translation. Both Ph.D.’s are based in the Department of History and Classics, College of Arts and Humanities. The successful candidate will join a vigorous and friendly postgraduate community supported by theGraduate Centre for Arts and Humanities at Swansea University. The Academic Supervisor will be Dr. Kasia Szpakowska, a specialist in Ancient Egyptian private religious practice and co-founder of the international Ancient Egyptian Demonology Project. Applicants must have an MA or equivalent qualification, obtained or due to be obtained by October 2012, in any relevant discipline. Both Ph.D.’s are based in the Department of History and Classics, College of Arts and Humanities. The successful candidate will join a vigorous and friendly postgraduate community supported by the Graduate Centre for Arts and Humanities at Swansea University. The Academic Supervisor will be Dr. Kasia Szpakowska, a specialist in Ancient Egyptian private religious practice and co-founder of the international Ancient Egyptian Demonology Project.